With scores of hot water jets massaging your body and oxygenating your skin, our outdoor Spa Tub is a relaxing way to end your day, sipping on one of our antioxidant-rich fruit and green smoothies. 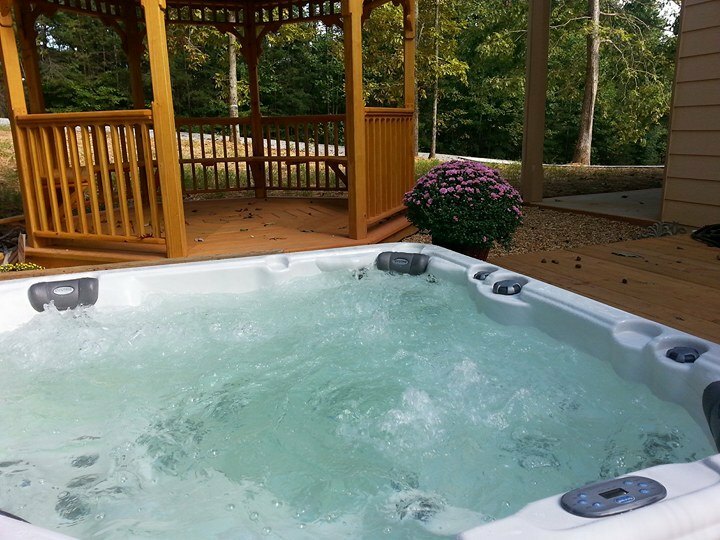 Located just outside our therapy room and behind the privacy of the octagonal gazebo at the edge of the woods, you can "cool off" in the "hot tub." Pure ozone is used for healing and detoxification. Full of ozone and oxygen, this ozonated water is used topically as a healing and antibacterial / antifungal agent, on burns, scrapes, bruises, and many other applications. Our water comes from our own deep well, conditioned through two separate ion-exchange filters, and pH adjusted for optimum purity.